Planning a trip to the Garden Isle? Here’s where to snack, drink, and eat while sampling Kauai’s best restaurants. I grew up visiting the Big Island with my family on an annual basis, so my exploration of Kauai is relatively fresh. Although the Big Island will always have my heart, Kauai has quickly become my favorite Hawaiian island to visit…and a big part of that is (you guessed it,) the food! 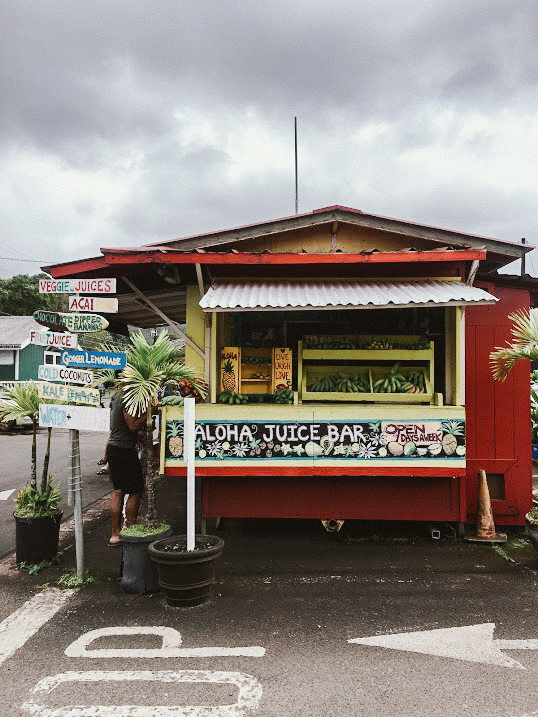 This being my second trip to Kauai (you may have seen my Kauai itinerary) I had the chance to go a little more in depth exploring different parts of the island (and its restaurants.) I also had the chance to stay with locals (shoutout to the Miyashiro family!) who graciously took my friend and I on the best food tour of Kauai imaginable. 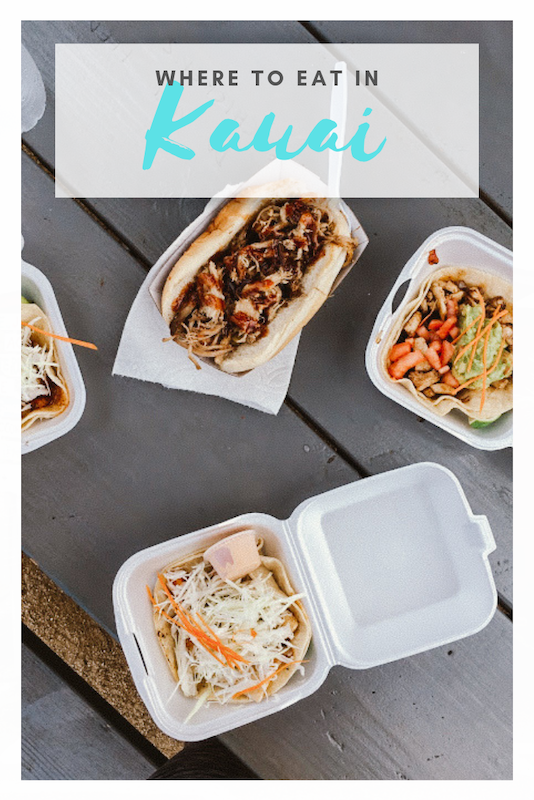 I’ll begin with my overall favorite Kauai food discoveries (including food trucks!) 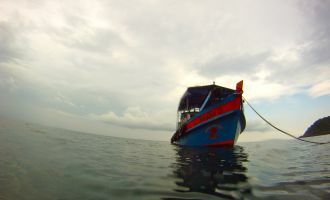 I’ve then broken down best restaurants by area, knowing that you will likely be staying in one part of the island and will explore others while driving around. So without further ado, I present…the best damn list of restaurants in Kauai that I can bring you. One of the struggles for me with dining in anywhere in Hawaii is finding local food that does not cater to tourists. 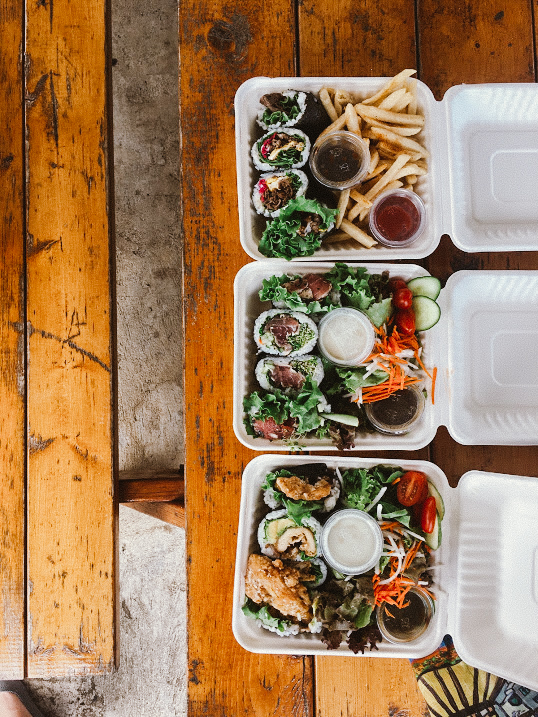 Hawaiian cuisine that locals eat often differs from the needs and tastes of visitors, even when local ingredients are utilized. Incidentally, the following local spots are now my favorite places to eat in Kauai. You’ll find them throughout the island, but they’re all worth going out of your way for if food is a priority for your visit. 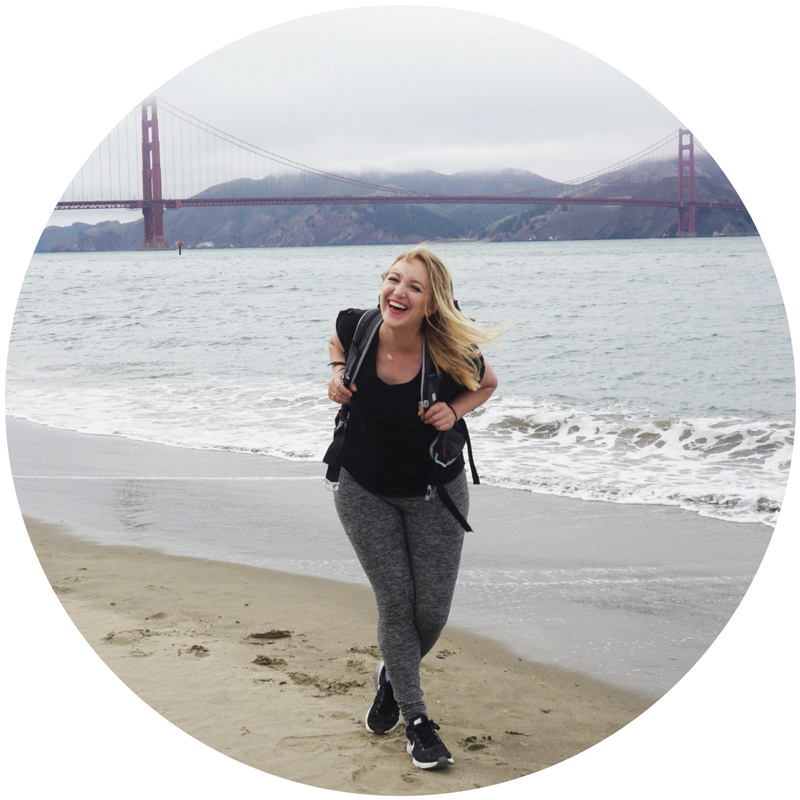 Don’t miss this spot on your way to or from the airport! Comfort food at its finest and most local. I recommend the noodle soups (especially the oxtail) but the pancakes and loco moco are also beloved here. Thin, crispy, and plenty local, these taro chips from a local farm can be purchased in the best way possible — from a small house just off the road. You never know quite if the guy who sells them is going to be there are not, but that’s part of the experience. Read more of the story, or just take my word for it and pick up this delectable snack. Again, fresh off of a lengthy trip to Japan I wasn’t sure if I was going to appreciate this place fully but it was one of the best meals I’ve had in Hawaii. It’s exactly as delightful as it sounds — as if you had a Japanese grandmother cooking for you. The food is all great, and it’s especially fun on a Friday night (art night) and because it’s BYOB. Or simply…create your own beach picnic! Might I suggest Salt Pond Beach Park for eating it? Wow wow wow. I still dream about this meal. 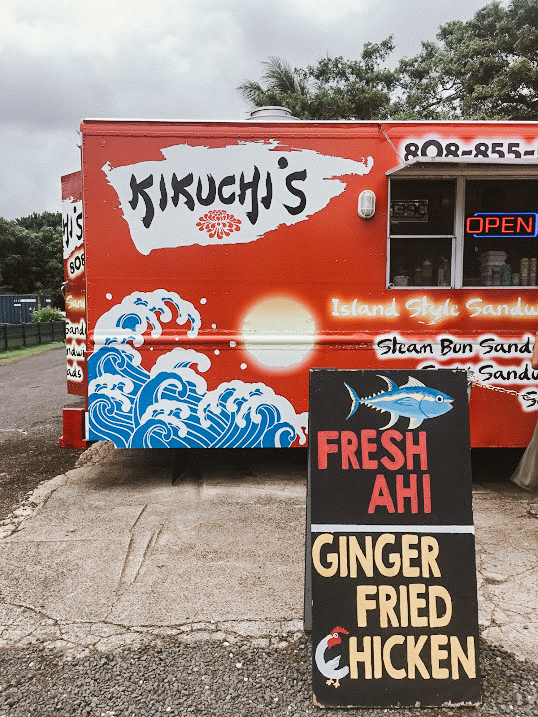 The truck serves sushi rolls (sandwich sized) and large portions that make it one of the better value meals on the island. As I suspected, the ahi roll was a favorite…surprisingly, the Kauai beef roll was even better! A lovely little poke spot located in the main shopping center of Hanalei. Though a bit on the pricey side, it’s delicious and fresh. Cash only. 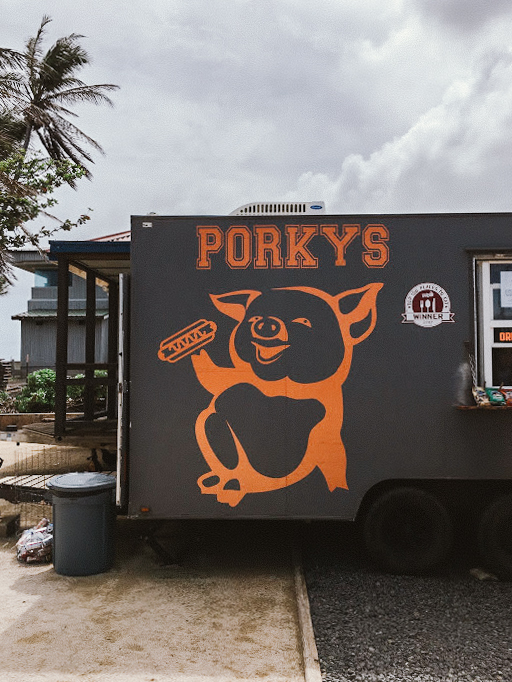 Porky’s continues to receive awards for best food truck, and that’s because it is that good. 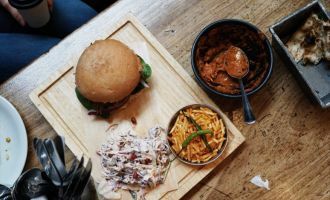 You’ll find hot dogs and sausages topped with the likes of grilled onions, pineapple relish, and most importantly, more pork. A Mexican food truck whose octopus tacos spoke to me…and did not disappoint! Lots of other great menu options, too. The only organic shave ice on Kauai and the cutest little food truck ever, they visit several locations but I happened to find them at Warehouse 3540 – which is a wonderful local collection of boutique shops and art. 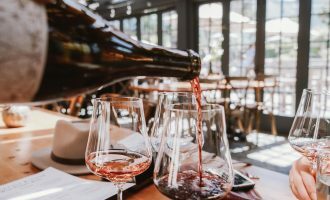 Higher end, tapas-style eats from a chef who moved from San Francisco, it’s the go-to for special occasions. Their menu is killer and they serve arguably the best food on north shore of Kauai. Reserve in advance if you can. Also check out their newer sister restaurant (also in Hanalei) — it’s called Ama. I was tipped off at my last visit by a friend to stop in to their fresh fish + seafood market in the back. SO GOOD. Unfortunately they were still closed due to damage from the Hanalei flooding back in September, so give them a call before stopping by. 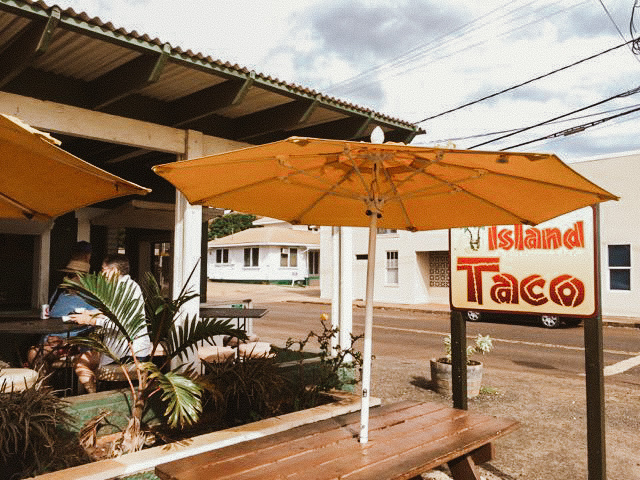 As listed above, this is a great place to go if you want to dine with locals and enjoy some of the best cheap eats in Kauai. I recommend the noodle soups (especially the oxtail) but the pancakes and loco moco are also beloved here. A great stop before or after you are headed to the airport! 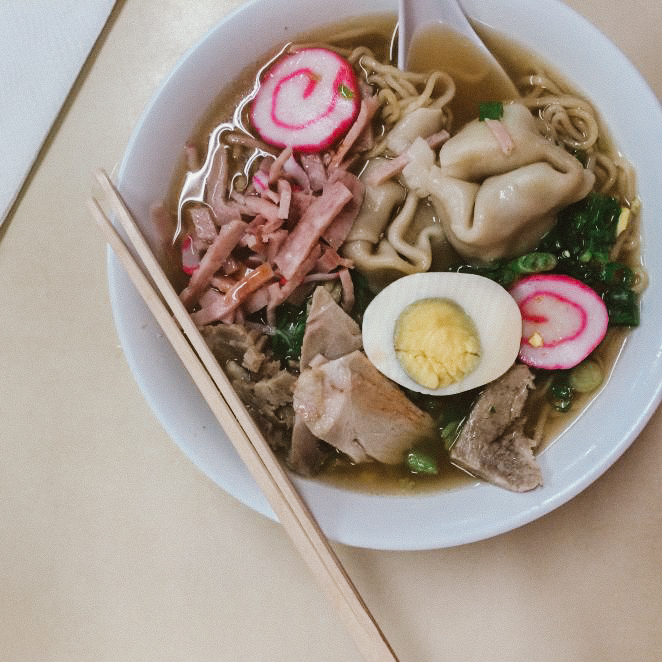 If you haven’t heard of saimin (I hadn’t,) it’s like a Hawaiian twist on ramen. This is considered to be the best local hole-in-the-wall to try it. Although it’s not my favorite noodle soup of all time, it makes for a mighty fine meal. Their lilikoi pie is the highlight for me! A fantastic microbrewery with local vibes, it’s a friendly place to sample a variety of beers. They have some food options, too, though many would go across the road to grab something from a food truck and bring it in. 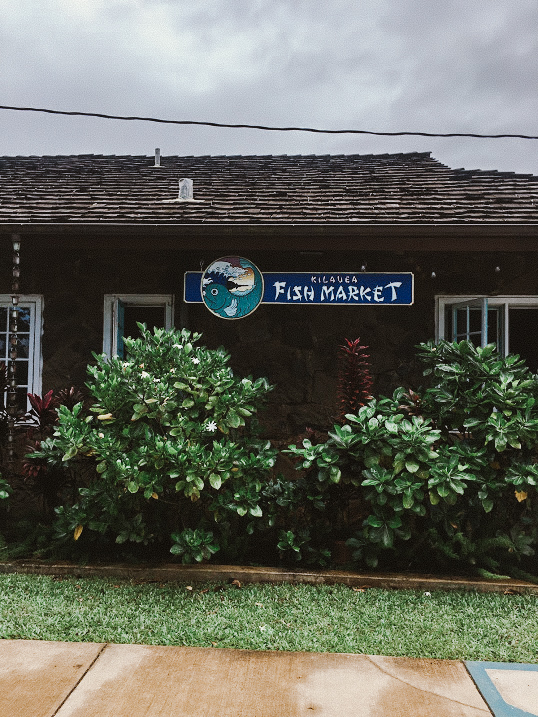 I first dined at Merriman’s on the Big Island, and learned the story of chef Peter Merriman and his influence on bringing local ingredients and Hawaiian regional cuisine to the forefront of the food scene. He’s since expanded his presence (you can find one of his restaurants on each of the major islands.) 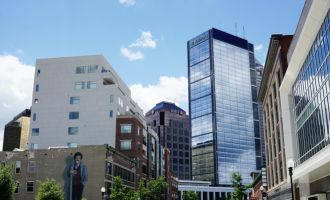 It’s not inexpensive, but it supports local growers and farmers and will be some of the freshest and best food you can eat. Beach House is somewhat of a Poipu institution, and that’s mostly for the sunset views — which are some of the best on the island. I can’t say no to their macadamia nut crusted fish. Fantastically fresh and some of the best poke I’ve had anywhere in Hawaii. If I could only ever eat at one place in Kauai, this would be it. It’s one of those must-eats in Kauai for me. I made the locals who were showing me around stop here, because I couldn’t handle passing by without stopping in. My top picks are the Kalua pork and the mahi mahi. 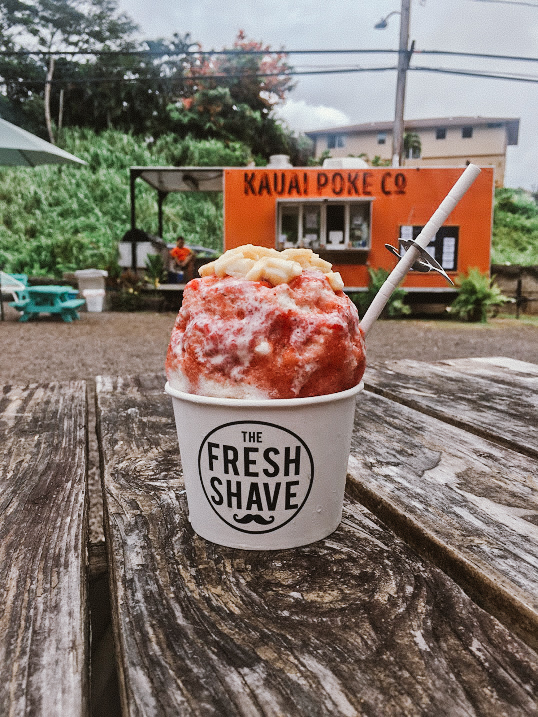 If you’re hungry, don’t miss Kapaa Food Trucks — including Wailua Shave Ice plus Porky’s and El Rey del Mar as listed above! I always stop here to eat when passing through. It’s consistently some of the best food in Kauai. 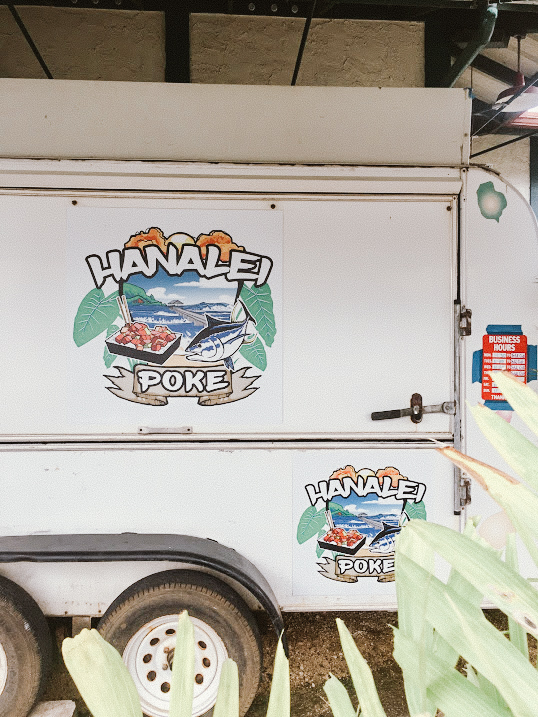 This is a solid local spot for deli style meals, including poke bowls and a Hawaiian plate lunch (which you have got to try at least once!) Casual Hawaiian-style street food. Perhaps it was me coming off of three weeks in Japan, but I was totally charmed by this place. It had recently been opened by a woman from Japan, and ranges from matcha tea beverages to sweet treats flavored with matcha and red bean. 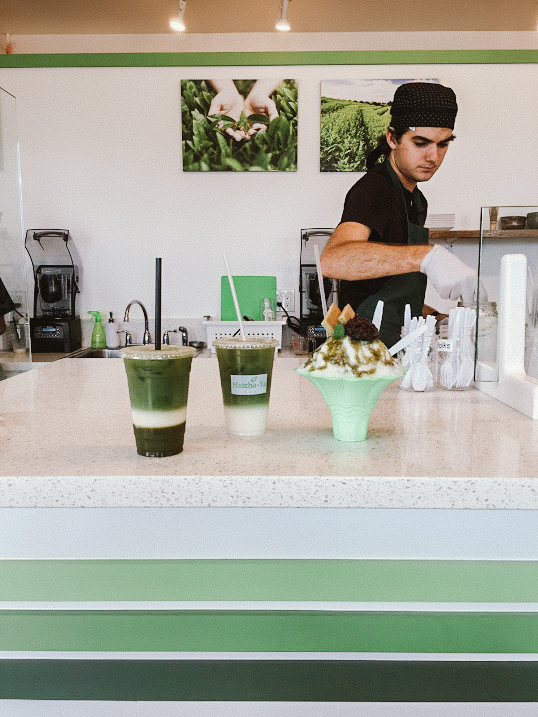 Get your matcha on! That’s it for now, friends! I hope to be best soon to continue taste testing in this paradise. 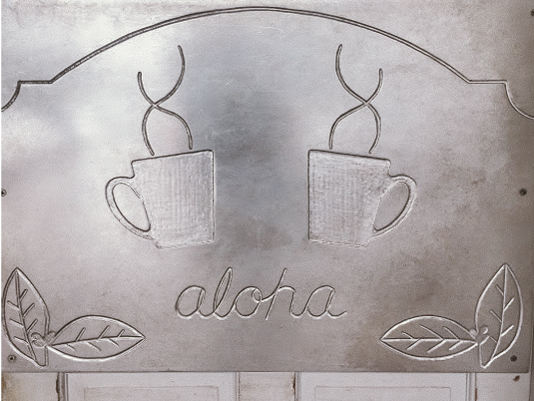 For now, please do leave me a comment with your favorite Kauai restaurant finds. Need a place to stay in Kauai?